Isis Key – Orocrea Jewerly s.n.c. The Ank is an ancient symbol of protection and divine consciousness. 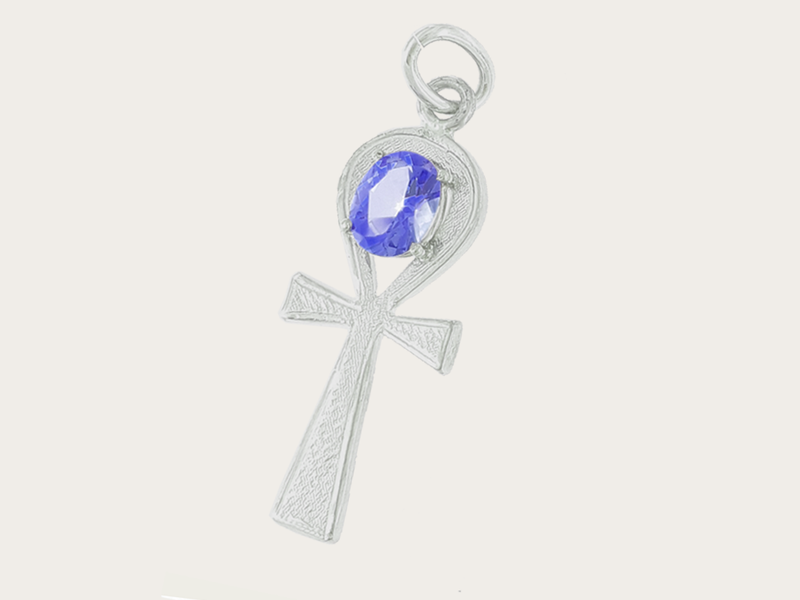 The ank is a symbol inspired by the ancient Egyptian tradition and it has a talismanic value of undoubted value. The upper loop, oval shaped, can be assimilated to the aorobos (the snake that bites its tail representing the eternal cyclicity of life). The t-shaped cross, on the other hand, is the condition of death seen as a unique aspect togethere with life. This magic jewel has a function of protection also. The central drop shaped gem is a blue-violet tanzanite. The gems lay on a mystical shape realized in white gold 18 kt, the purest metal, symbol of the highest and most refined energies we can convey as Human Beings. Through the energy of this jewel you can reawaken the divine part inside of you, reaching it through the expression of peace and joy.